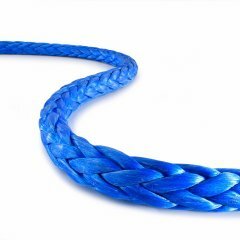 The high strength fiber rope HyperTEN is thermally pre-stretched during production and therefore offers extremely low elongation and highest breaking forces, which make it perfectly suitable for steel wire rope replacement. 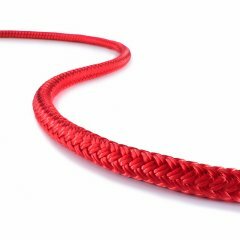 HyperTEN is a high strength fiber rope made of UHMWPE (ultrahigh-molecular-weight-polyethylene) fibers that is available without any cover or with a Polyester (HyperTEN Pro-P) or UHMWPE (HyperTEN Pro-U) cover. 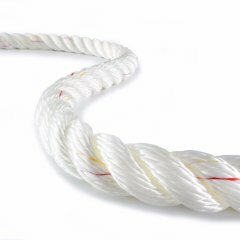 Due to thermal stretching within the production process, the fiber characteristics are perfectly utilized and the rope has a closed, compact and stable structure. Extraordinarily high breaking forces exceeding those of steel wire ropes at only 1/7 of the weight combined with high abrasion resistance usually make a one to one substitution of steel wire ropes with the same diameter possible (incl. protective cover!). HyperTEN is also perfectly suited for overhead line construction and motor winches.